Most Mormons are mild-mannered, well-behaved, law-abiding citizens who tend to get along well with their neighbors. But every once in a while, there's a renegade. You know the one: a little bit wild-eyed, ready to rumble, out to go where no Mormon has gone before. Face it: we all know one. 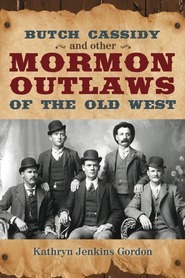 Well, if you think you've seen a colorful character or two in your ward, you should check out the colorful characters in this book—some Mormons, some non-Mormons who impacted Church history. These people are a whole new breed of colorful. You'll meet the guy who is credited with starting the gold rush and putting San Francisco on the map—California's first millionaire, who dies selling pencils on the street. You'll meet the Mormon FBI agent who was killed in a shoot-out with "Baby Face" Nelson, but not before taking out the Baby. You'll gain a whole new appreciation for the General Authority who peppered his sermons with profanity. And that's just scratching the surface. Most of all, you'll find yourself shaking your head in wonder, having a knee-slapping good laugh, and maybe even shedding a tear or two here and there. This book is terrible and greatly misleading. Got tired of the author rude comments and taking things out of content. SO. SO. SO. GOOD! And so INTERESTING! This book is SO FASCINATING! Wonderful tidbits about some very interesting people! The author does a fabulous job of keeping you entertained while telling each person's story. Once I started reading I didn't want to put it down! Such an amazing look at history and the people who helped shape it! This is the 4th book I have read from this author-- I LOVE her style! 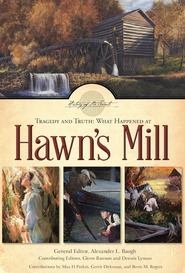 Perfect for the history buff or anyone who just likes to hear a really great story about a "colorful character." This book was facilitating to me. As someone who really enjoys History and have been born and raised LDS, the stories that are told of people who were Mormon or who interacted with Mormons in a way that effected the Mormon history were mostly unknown to me and super interesting. Some of my favorites were Porter Rockwell, Butch Cassidy and Mark Twain. I never had a clue that Mark Twain knew of the Mormon Church. He had so many funny things to say. So many influential people both for good and bad had interactions with Mormons and had much to say about the church. The author did such a brilliant job researching the people in her book and filling us all in on the parts most of us probably have never heard of and she footnoted where her information was found. She does and exceptional job of bringing these people in history to life and helping understand the context of why and how people said what they did. I love how throughout this book, the author interjected her own thoughts and humor. It felt to me as I read that I could have been sitting with a very smart friend who was telling me stories of such fascinating people who I had heard about but never knew how they impacted Mormon history, Really a fun read! Its great because there are just chapters of different characters so you can pick and choose to read the ones you are interested in or be like me and find them all great stories. Either way Its so fun to read this book. Its absolutely a book I will recommend to family and friends. I've always liked learning about history, but don't typically read non-fiction historical books. Frankly, I like to be entertained, and a lot of non-fiction is a bit of chore for me to read. 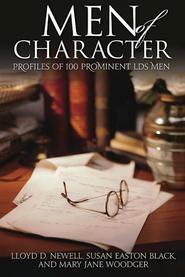 However, Kathryn Jenkins Gordon's Colorful Characters in Mormon History is written nothing like a dry textbook. In fact, there were times that I couldn't help but think that some of the details might be made up due to the humorous manner in which they were presented. But, there are plenty of footnotes to back up the facts. I had the book sitting in my living room when company came over, and it wasn't uncommon for people to question Mark Twain being a member of the Church of Jesus Christ of Latter-day Saints (with good reason-he wasn't a member). While the cover may mislead some, the blurb lets readers know right off that some of the chapters are about non-members that impacted the Church. Some of the chapters actually made me a little sad, but others were fascinating. My husband and his dad saw the book and made sure to read the chapters on a couple of their relatives that made the book. I think the book was well-written, and I'd recommend it to anyone interested in learning more about some historical figures. Without the colorful people of the world, life would be a lot more boring, better in some respects, worse off in others. Like every other group in history, members of the Church of Jesus Christ of Latter-Day Saints (Mormons) have had their share of colorful individuals. In this book Gordon shares the stories of some of these colorful individuals and their association with the church. Some of these were members some of them simply had contact or interactions with the church at one time or another. Some of these people are honored for the good they did, others did harm to the church or her members. Some were friends, some were enemies. Some of these individuals have stories that are well known, even legendary, others aren't as well known, but all are fascinating examples. I'm not sure that I would go so far as to say that I found any of them "hilarious" though. The 'good' are worth admiring, the 'bad' are sad or infuriating, and the only story that could have been hilarious (that of Mark Twain) wasn't because he used his wit to make fun of sacred church doctrines. However, all the stories are of interest and I appreciated the author's care to dispel some of the myths or misconceptions associated with some of these individuals. Some of these stories I'd heard before some of them I hadn't, but I appreciate the author's skill in bringing these stories to the public. The individuals included in this book are: Samuel Brannan, Mark Twain, Thomas B. Marsh, Jim Bridger, J. Golden Kimball, Lilburn Boggs, Butch Cassidy, James G. Willie, Charles Anthon, Parley P. Pratt, Lewis Bidamon, Edward Martin, Mary Fielding Smith, Martin Van Buren, Orrin Porter Rockwell, Thomas L. Kane, Samel P. Cowley, Ephraim Hanks, and John C. Bennett. 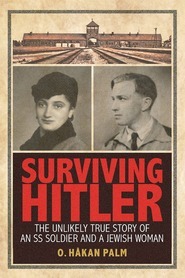 I can easily recommend this book to those like me who enjoy a good story, especially when the stories are true.